Omidyar Network is a philanthropic investment firm dedicated to harnessing the power of markets to create opportunity for people to improve their lives. Established in 2004 by eBay founder Pierre Omidyar and his wife Pam, the organization invests in and helps scale innovative organizations to catalyze economic and social change. Omidyar Network has committed more than $1.1 billion to for-profit companies and nonprofit organizations that foster economic advancement and encourage individual participation across multiple initiatives, including Education, Emerging Tech, Financial Inclusion, Governance & Citizen Engagement, and Property Rights. 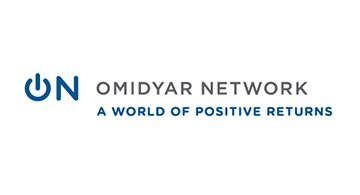 To learn more, visit www.omidyar.com, and follow on Twitter @omidyarnetwork #PositiveReturns.